If your office flooring is overly-stained, ripped, and overdue for an overhaul, it’s time to contact JKP Flooring for a free estimate. 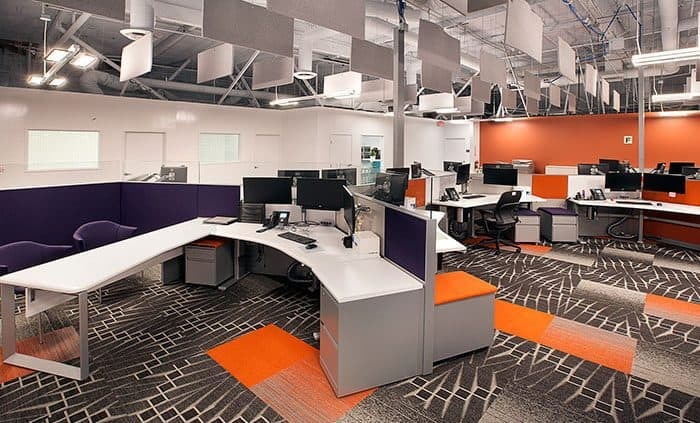 Impress your colleagues, clients, and guests with a quality flooring installation and a fresh, new look for the office – without interrupting productivity. Here are some reasons why companies like Google, Intel, and Sony have trusted us for their flooring needs. JKP Flooring was founded in 1989 and we have always prided ourselves with being the best by providing the best work. We have own project manager, safety manager, labor supervisor, support staff, and installers, all of whom are highly skilled and trained with their jobs. With nearly 30 years of experience, we have mastered the art of installing new floors without affecting workflow. Our team is highly knowledgeable and skilled with the flooring installation process and offers only the latest flooring industry technology and the best materials. 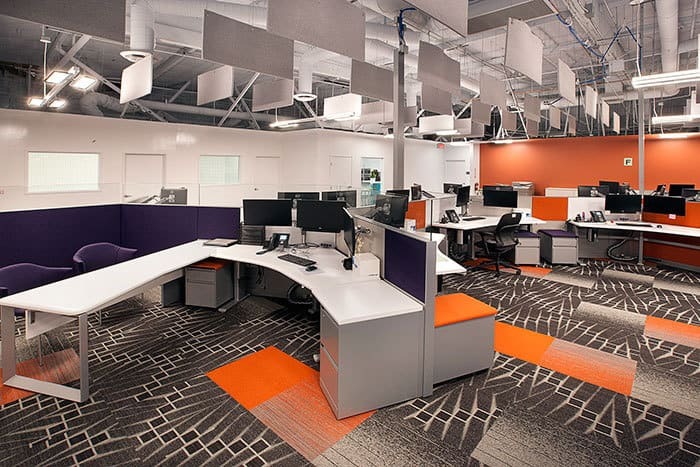 We partner with many carpet and floor manufacturers to offer you high quality floors that best fit your vision and office space. Our innovative processes also allow us to work within the confines of furniture and living spaces. Installing in occupied office spaces is our specialty and we’re confident no one can do it like us. We require no downtime, moving, dismantling, and best of all, no employee disruption. We come in after your office hours and work on the installation while you and your employees are out. When you come back in the morning, it’ll be as if nothing has changed but the flooring. Updating your office flooring doesn’t have to be stressful. Let us show you how easy and great installing a new floor in your office space can be. Give JKP Flooring a call today to get your free estimate at (800)500-5739. How Flooring Affects the Atmosphere What Flooring Should I Choose For My Business?